AFTER H-Metro exclusively exposed Wisdom International Church founder, Apostle Mazvarirashe Magubu, for having adulterous affairs with his Facebook friends, the man of cloth yesterday took a copy of the paper to TB Joshua in Nigeria seeking divine intervention. 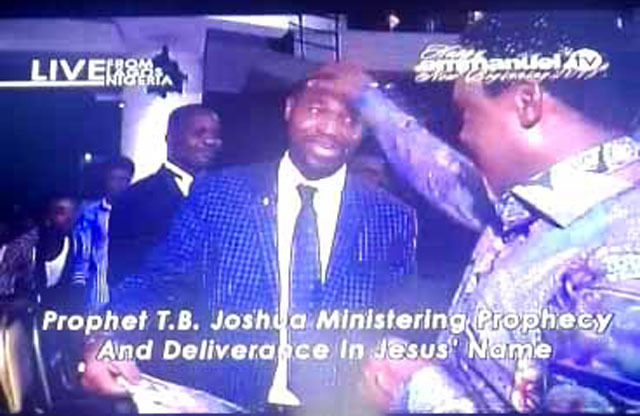 Apostle Magubu appeared on Emmanuel TV Sunday service live at Synagogue Church of All Nations (SCOAN) requesting from TB Joshua to reunite him with his erstwhile wife Johanna Mahachi who left him as a result of his adulterous affairs. 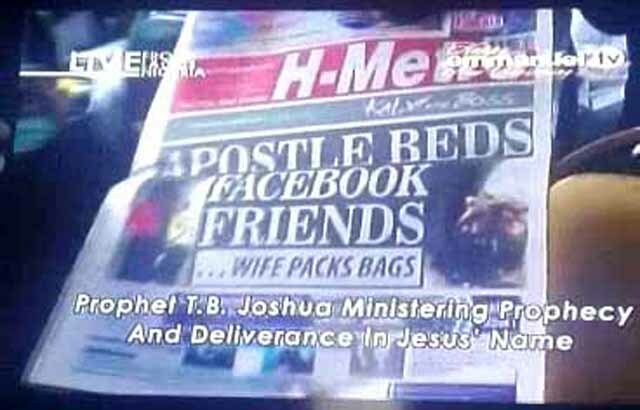 As evidence that he was on separation with his wife, the clergyman produced an H-Metro copy which carried out the story to Prophet TB Joshua. Apostle Magubu also requested to be delivered from demons which made him cheat. “Help me man of God, I was published in the newspaper and my wife left me because of that, may I also be delivered from spirits haunting me,” he said. Prophet TB Joshua prayed for Apostle Magubu and informed him that he is now free. Johanna left the matrimonial home last year in September after she went through her husband’s Facebook account. She discovered that he was in the habit of sleeping with different women including congregants. Johanna also alleged that she gave the man of cloth the money that he paid as her bride prize. She also accused Apostle Mahachi of not genuinely loving her but only after her hard earned cash. 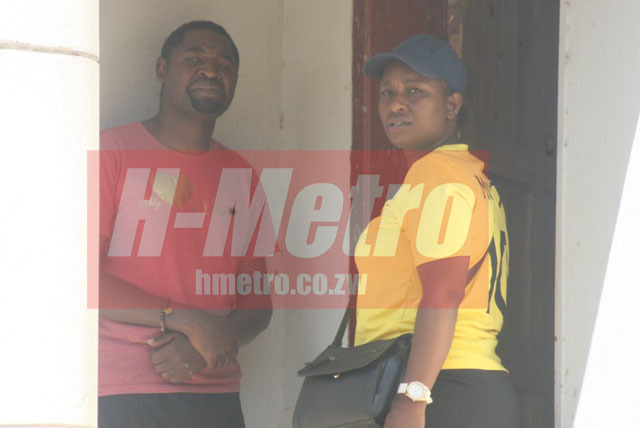 Apostle Magubu confirmed his unfaithful actions but blamed his in-laws for influencing his wife into divorcing him. Meanwhile, the video clip has now gone viral among family and friends of Magubu and Johanna as well as their congregants.